Since I wasn’t involved in any big Christmas concerts this year, I spent my time recording a little musical Christmas gift for you. Merry Christmas! Holly Kluge performing at RocFest! 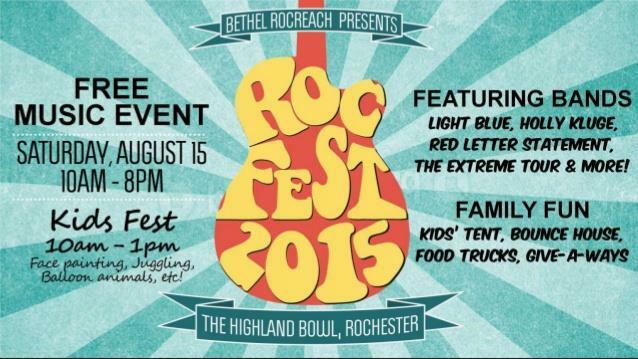 Holly Kluge playing at RocFest2015! August 15, 2015. Rochester, NY at Highland Bowl. 1-8pm live music. 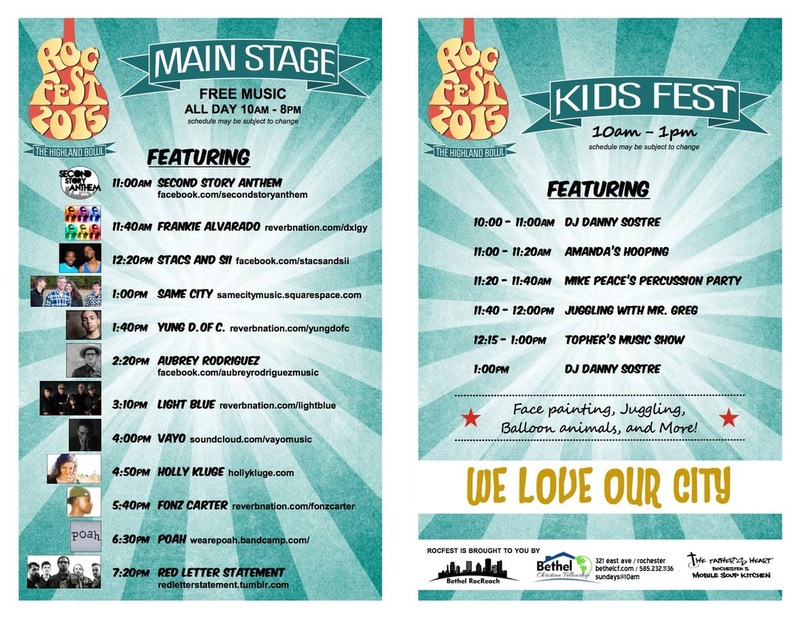 I’ll be playing a few new songs at the festival, along with some tunes off my last album. Word on the street says I might even put down my guitar and play percussion for a song. A little girl from my church, Amanda Conrow, has recently been in the news, attracting attention from people around Rochester, the whole country, and even around the world. She valiantly battled cancer, and today she passed away, crossing over to the other side of eternity. My heart grieves with the Conrow family. I’m sharing this song (I wrote when my dad passed away) in hopes that heavy and hurting hearts will will find comfort and hope today. 2014 was a crazy year. You haven’t heard much from me since I was pregnant, and had my beautiful baby boy (#2) in August. Amidst that, however, I did manage to write the theme music for an upcoming Christian comedy tv show, The Church. Check out this clip with my music towards the end! And know that you will hear more Holly Kluge music in this new year! Holly Kluge was involved in recording a Christmas EP recently. The online release is scheduled for December 22nd. Check it out! Holly Kluge performing for a Christmas concert! Free concert by Jeff Parshall and Holly Kluge, free coffee, free desserts, free activities for kids! Donations will be accepted to benefit the Ugandan Water Project. Guitars For Glory worship concert! Holly Kluge will be opening for the Guitars For Glory worship concert on Saturday, August 24th at 5pm. Great music, food trucks, and more! August 24th, 2013 I will be the opening worship leader for the first Guitars For Glory event. My friends started this organization with plans to provide under-privileged schools, orphanages, churches, and missionaries around the world with guitars and other instruments for the purpose of enhancing their musical experience and raising up worship leaders. Holly’s song “Be Still” is on this month’s SongDISCovery CD (volume 109), which is a publication of Worship Leader Magazine. …My music is now on a CD with Martin Smith and Matt Maher, and in the hands of 10,000 SongDISC subscribers across the US and Canada. . Awesome! Please “like” Holly Kluge on facebook!